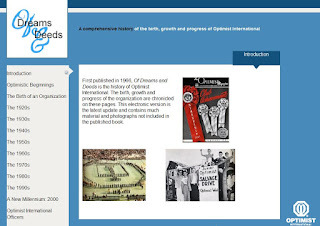 Optimist International has developed a new website devoted to the birth and history of the organization. Based on the book Of Dreams and Deeds, the full text is now available online, from the first "non-pessimists" club in the early 1700s to the original 11 Optimist Clubs that came together in 1919 when the Optimist International organization was formed. Please click on the picture to read the full inspirational story.